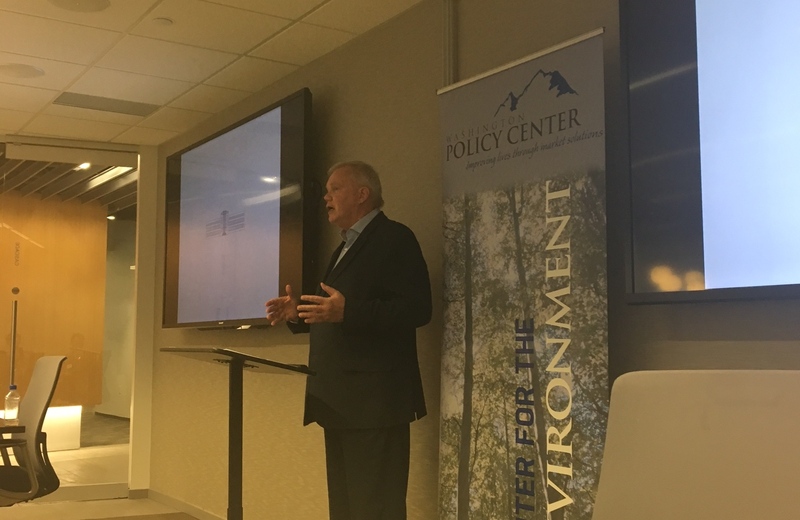 Professor Hannes H. Gissurarson, RNH Academic Director, gave a paper about the Icelandic system of Individual Transferable Quotas, ITQs, in the fisheries at a luncheon meeting of the Washington Policy Center in Seattle in the state of Washington Friday 14 April 2017. He recalled that he had first put forward the idea of defining private use rights to fish stocks at a conference in Iceland in the autumn of 1980, and that he had been ridiculed in the socialist newspaper afterwards. Hannes said that fisheries economists all agreed that open access to fishing grounds led to overfishing: The number of boats increased to the level where no profit was any longer to be gained from harvesting. The problem of reducing the number of boats (i.e. fishing effort) could be resolved in two ways. One possibility was to define exclusive and transferable use rights to the fish stocks on the basis of catch history. The other possibility was to auction off the fishing rights. The first method was more feasible because then no great existing interests were threatened. Nobody made a loss. The number of boats (i.e. fishing effort) would decrease naturally, in a spontaneous evolution where the more efficient would buy out the less efficient. The great disadvantage of the second method was that a great number of the fishermen would be driven out from the waters, almost all at once, and not bought out in by virtue of quota transfers.